John joined the Wellness House in 1988 after practicing for over 20 years in several countries around the world. When he sustained a track and field injury as a teenager he was introduced to chiropractic. After personally experiencing the benefit of this natural approach to health, he dedicated himself to helping others. This led to work with a Mission Hospital in Vietnam in 1971, working in rehabilitation and prevention of deformity in patients suffering from Hansen’s disease. Later he worked in the Ecuadorian jungle as both a pastor and a chiropractor. John utilizes the Activator Method Chiropractic Technique in practice along with ultra sound, soft tissue work and rehabilitation exercises. He graduated as a Doctor of Chiropractic from the Canadian Memorial Chiropractic College, and holds a Master of Arts degree in Missiology from the Canadian Theological Seminary. 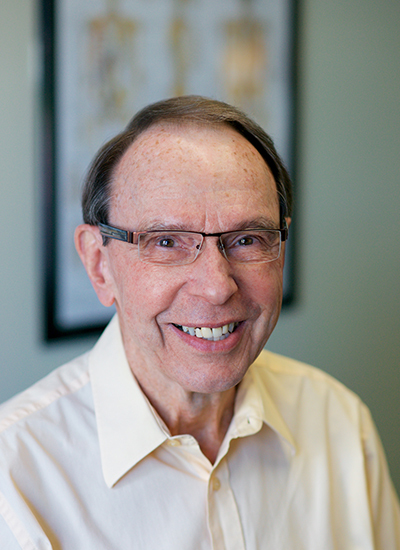 Dr. Hall has specialized in the Activator Method Chiropractic Technique for the past 13 years. He maintains advanced proficiency rating in the use of the Activator Adjusting Instrument by attending Activator Method seminars each year to keep abreast of the latest developments. This is a method of restoring spinal balance by correcting the dysfunction of the joints of the extremities, the spine and even the jaw. It is a safe, comfortable and much less aggressive means of resolving joint disorders as it eliminates the noise (crack) that accompanies traditional manual joint manipulation. The low force thrust of the Activator Adjusting Instrument is 300 to 400 times faster than manual manipulation and so muscles are less likely to tense up so that children and the elderly with arthritis, osteoporosis or other related conditions experience the relief of pain without discomfort. The Activator Method Chiropractic Technique is an advanced analytical approach, developed over the past 45 years, for diagnosing spinal joint dysfunction and other issues with body mechanics. The Activator Adjusting Instrument has proven to be an effective means of correcting these functional problems. As nerve irritation is removed, chiropractic helps the whole body, not just the neck and back, heal itself. Dr. Hall has learned through many years in practice that along with delivering specific chiropractic adjustments, listening to his patient’s progress report during each visit is also very important and leads to the most effective recovery. Not seeing a specific Service or Treatment? Drop us a line and we can discuss any concerns you may have and develop a wellness strategy to deal with it. We utilize a team based, hands on approach to your health. We have been serving Ottawa for over 35 years. From our team of Health Practitioners we look forward to working with you and optimizing your health!